I am a foodie. I can’t deny the fact, and since I am, these holiday baking tips are some of my on personal tips. I have often been found baking special treats for people I love, and this year, I will once again have a full kitchen to work in for cooking our holiday meals. I can’t begin to tell you how excited I am, and our sponsor, Best Buy, has given me, even more, inspiration! Have the right tools on hand. It’s truly all about the flavor, but to make sure that flavor is on the top of its game, you need to use the right tools. That includes having a great stand mixer, bowls and measuring cups to create the meal, but having been in a home for 6 years without a good oven, I know how important that is in the holiday baking process. 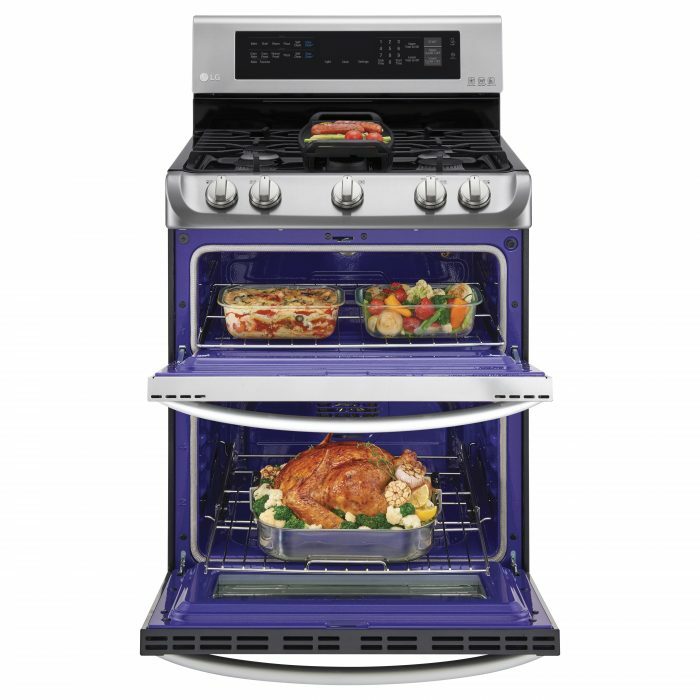 Right now, Best Buy has an amazing LG Pro Bake Oven that is just what every foodie needs or the holidays. With the ProBake Convection™, it’s easy to create pies, cakes, and cookies that are cooked to perfection every single time. This is that professional feature that home cooks long for, and can now have affordable in their own kitchen. 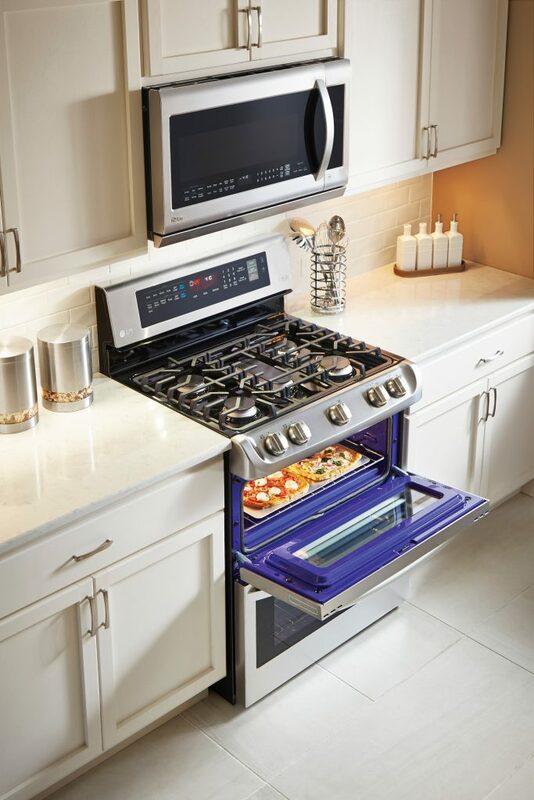 As an added bonus, if you are like me and hate cleaning your oven, the LG’s ProBake Convection also has LG’s EasyClean® that can help you get a clean oven in just 10 minutes. If you buy any ProBke Range between 9/28/16 and 10/29/16 you will receive 5X reward points with your Bet Buy account. You may also qualify for a Kitchen Bundle Rebate during this time period, where you receive a Visa Gift Card valued up to $400 when you make a 4 piece kitchen package purchase. Create a holiday baking menu. Before you go grabbing ingredients, sit down and create a menu of your holiday baking plans. Write down each of the items you want to create from cookies and cakes to fudge and candies, and then break down each of those items by ingredients. By breaking down your recipes into ingredients, you can quickly and easily combine like items to see if larger packages are better for your budget. Instead of spending $2 each on 5 small bags of chocolate chips, you may be able to spend $5 for the larger bag at your local club store. Mise en place is your friend. This fancy French term is one of my favorite ways to really save time and energy in the kitchen. Mise en place simply means to put everything in its place. As you create your holiday baking recipes, measuring everything out before you begin mixing is an easy mise en place that will keep things orderly. I have grabbed small ramekins to use in the past to make this easy, but any small bowl or tray can work as a way to prep ingredients before assembling a recipe. This helps you to stay on top of what step you are on in the recipe and keeps cleanup to a minimum. Invest in proper storage items. After your holiday baking has been completed, it’s all about storing those items for later. I realize how hard it is to not eat everything all at once, but if you are using this holiday baking day for multiple events or to gift to friends, you’ll need to store everything well. I recommend using trays, tins, and storage containers for serving or delivering to friends, but air tight containers are a must until serving. I am a huge fan of Ziploc freezer bags that I can double bag and put into the refrigerator or freezer with an easy label on the outside. There are also some great glass storage bowls that are perfect for storage. It’s all in the details. What really makes your holiday baking stand out in a crowd is the details. It’s not always about how complicated the recipe is to make, but how it looks on a tray, or how the flavor pops. I prefer simple holiday recipes that are tried and true. Bon bons, truffles, fudge, and various candies may seem basic but they don’t have to be that way. If you use a dusting of edible glitter, candy pearl beads, or simply pipe a chocolate monogram on top, they will seem even more delicious to the person eating them. These holiday baking tips are just what every foodie needs to make this year’s holiday baking days even more fun. 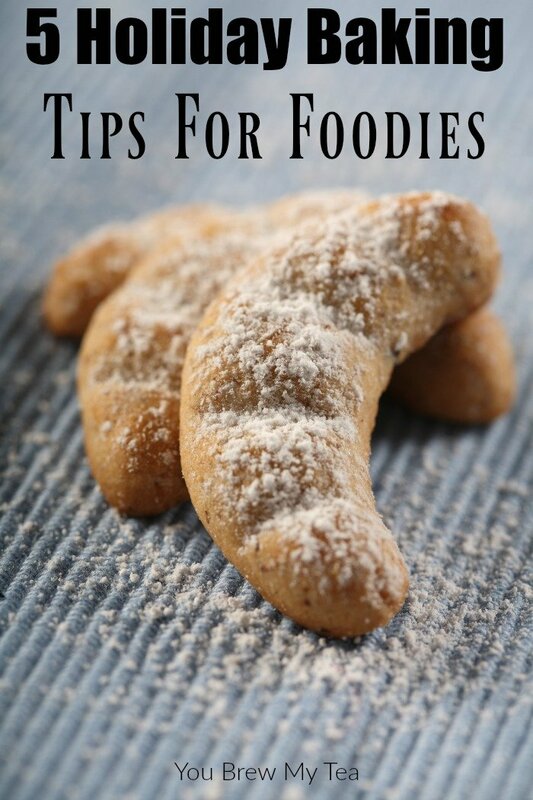 From having the right tools for the job, to creating a custom look on your holiday treats, this list will make your holiday food even more delicious this year.